Sundestin 1610! Free Beach Service! Booking Sping/Summer 2019 Now! This 3 bed and 3 bath condo at Sundestin is located on the sugary white sands of the beautiful Emerald Coast. Enjoy views of the Gulf of Mexico from the 16th floor condo with double balcony. This 3 bed, 3 bath gold rated unit has it all. Tile floors, granite and stainless kitchen are only a few of the recent renovations. This unit includes 2 suites with king beds and private baths. The third bedroom has a twin bed and a queen in one room. There is also a sofa bed in the living room. All three rooms have flat screen TV's with DVD players. Sundestin Beach Resort offers many amenities for your enjoyment. These include indoor and outdoor pool, beach service, kids activities (seasonal), whirlpool, fitness room (includes steam, sauna & whirlpool), on-site restaurant, tiki bar (seasonal), and a coffee shop. There are BBQ grills here to cook you catch or you can make plans to eat at the many restaurants near by. Many restaurants are so close, you can simply walk. Sundestin is in mid Destin, close to everything! We always keep out calendars up to date. We are close if you need something. We have provided a book of our favorite things in the condo for you: favorite restaurants, shopping and things to do. Please see our reviews to see what others say about this great condo. We are Beach'n Destin and we manage this condo. 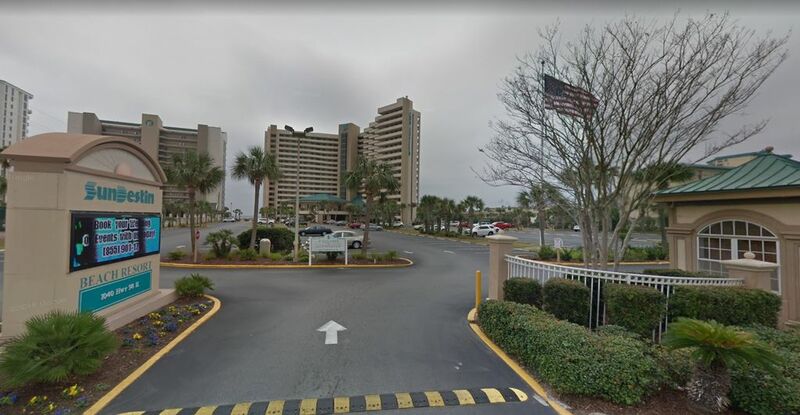 The owners purchased this condo in central Destin because of the location, beautiful beaches, immaculate condominium complex, friendly staff, and amenities. Of course, they believe it is the best unit at Sundestin and so do a lot of their guests . The floor plan is unique for all the few 3-bedroom units in Sundestin (there are only 4 available). There are 2 king-sized bed bedrooms and the third bedroom has both a queen size bed and a twin size bed. Plenty of space for a comfortable visit. Very roomy; fantastic views; cafe/bar downstairs was added plus; front desk (even though we didn't rent from them) was very nice when we went to get parking passes and gave us discount coupons for area shops! The Sundestin front desk is certainly better than most. I hope we will see you back again soon. Sundestin 1610 is a great place to stay with multiple people. Access to three full baths, a full kitchen, washer/dryer and that awesome balcony view are worth the money. Thanks for the great review. There aren't many unit with three bedrooms and three bathrooms at Sundestin, and I'm glad you enjoyed the view as well. We couldn&#x2019;t have been happier with the Sundestin Beach Resort. Thanks for the great review. Sundestin really is a great resort right on the beach in the heart of Destin with an easy walk or bike ride to many places like Big Kahunas. The condo was very clean and beautiful. Our family really felt at home while we stayed there. I loved having access to the washer, dryer and dishwasher. The beds were very comfortable. Before we left I attempted to find a tag on the master bedroom mattress. I couldn&#x2019;t find the tag. We slept so good, that we wanted to buy that same mattress for home. We had no issues during our stay. We really enjoyed the room. I highly recommend booking this room. In fact I plan on booking again next year! Thanks for the great review, and we look forward to having you back again next year. We have rented this condo every summer for the past few years. It has become a family tradition with us and our best friends. It is in a great location, the property manager is quick to respond to any communication, and has the best view! We look forward to returning. Thanks for the great review, and we will hope to see you back again next summer. Great location and the weather was perfect past that I had issues. The check in process was not bad but we where not treated as well as other guest checking in and I guess it was due to us not going through them directly. As for the room it wasn&#x2019;t cleaned very well, I went to move the coffee table and I just hope it was grape jelly that I got on my hand. The condo was old and it showed it, we pointed out several things to Stacy via messages that needed fixing. Didn&#x2019;t understand if e where staying at Sundestin why we had to go next door to get our beach chairs and umbrella, that was a big inconvenience since we had a 19 month old with us. This condo needs a face lift. Unfortunately the Sundestin front desk is run by a large corporation that books the majority of the units in Sundestin. Our guests do have to get their parking passes from the front desk which can cause issues as you don't need to check in because you already have your check in information. I apologize for the housekeeping issue. Sundestin contracts the beach service option, and we are kind of at the beach service's mercy as to where they are allowed to setup. We will look to make some improvements to the unit in the future.